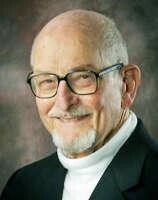 Robert Dubin, 97, died peacefully on June 24, 2013 in Eugene, Oregon with his eldest son, John, at his side. He was born to the late Aaron Joseph Dubin (Dubinbaum) and Gertrude Rozett Dubin on March 19, 1916 in Chicago, Illinois. He graduated from Crane Technical High School and received a BA, MA and PhD in Sociology from the University of Chicago. He met his true love, Elisabeth Ruch, at a university seminar. Their first date was at the 1933-1934 Chicago World's Fair. They wed in 1937 and enjoyed 72 years of marriage. Robert and Elisabeth lived in Chicago and Urbana, Illinois; Alexandria, Virginia; Eugene, Oregon; Munich, Germany; London, England; and, Newport Beach California and had five children. In 1943, Robert joined the U.S. Army as a Private later entering Officer Training School in Aberdeen. He was posted to the Pentagon and discharged in 1946 as Deputy Chief, with the rank of Captain from the Office of the Chief of Ordinance. His academic career began at the University of Chicago in 1947. In 1950 Robert transferred to the University of Illinois in Urbana. He went to the University of Oregon in 1954 as a Research Professor and Head of the Sociology department. In 1969 Robert accepted a dual-role as Professor of Administration and Professor of Sociology at the Graduate School of Management at the newly formed University of California-Irvine. Prior to his retirement from UCI as Professor Emeritus in 1981, Robert conducted research, including as a Fulbright Scholar, and was on academic sabbaticals at several universities. He was posted to the Center for Advanced Study in the Behaviour Sciences at Stanford University and the Rockefeller Foundation's Bellagio Center in Bellagio, Italy. He was a visiting professor in Madison, Wisconsin; Munich, Germany; Tel Aviv, Israel; and London, England. Dr. Dubin authored nine books (including "The World of Work," "Theory Building," "Human Relations in Administration" and "Central Life Interests") and numerous monographs and articles on the behavioral sciences and human relations. In addition to world travels with his beloved Elisabeth, after retirement Robert was an active golfer and watercolor painter, taught himself to use a computer, avidly followed the stock market and served on the Eugene Symphony Orchestra Board. Left to honor Robert are his three surviving children: John Robert of Eugene, Oregon; Lucy Sarah of Walchwil, Switzerland; and, Jorg Ruch of Laguna Beach, California and two grandsons, Benjamin Robert of Tigard, Oregon and Clayton Jorg of Laguna Beach, California. He was preceded in death by his treasured wife, Elisabeth Ruch; his first son, Thomas; brother Eugene; and two half-brothers George and Henry. His youngest daughter, Amy, died August 1, 2013. Professor Dubin's contributions to UC Irvine and the community were many. He is sincerely missed.